Our sound research and development program has enabled us to provide our clients with quality generation bio-fertilizers, micro nutrient fertilizers, plant tonic, PGRs and bio pesticides. Our research and development wing is equipped with all the sophisticated machines to provide the best facilities for efficient research proceedings. Our strong and robust infrastructure allows us to carry out our business operations with ease and precision. Spread over a sprawling area, our infrastructure includes a 14,000 sq. feet manufacturing unit which is equipped with sophisticated machines for hassle free production of our generation biological fertilizer, micronutrient fertilizer, plant tonic, PGRs and bio pesticides. 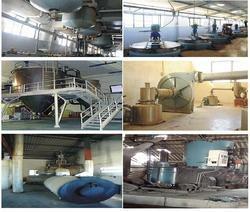 These machines are kept in perfect working conditions to ensure that our resources are utilized in an optimum manner. 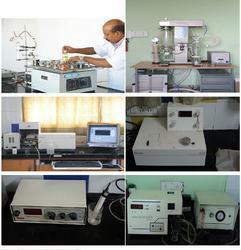 We have an installed production capacity of 50 lakh KL and 2000 M.T. annually. 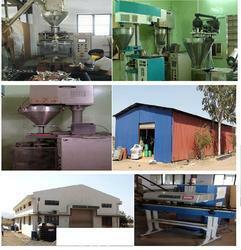 Apart from the manufacturing unit, we also have Research unit, Testing laboratory and Warehouse. Moreover, we also own a packaging unit which is equipped with filling and packaging machines to ensure appropriate packaging of our products. To ensure that our clients get nothing but the best, we ensure that our range of generation bio fertilizers, micro-nutrient fertilizers, plant fungicides, PGRs and bio pesticides is stored in properly designed and well maintained storing unit. Our unit is maintained in hygienic conditions to eliminate any chances of adverse effects of dust and other factors on our range. Apart from warehouse, we also provide customized packaging to our clients in 100 gm to 5000 gm as well as in 100 ml to 20 liter jars. The packaging is done in pouches, jars and plastic containers to ensure that the properties & quality of Bio pesticides and fertilizers are retained.